The end of summer doesn’t have to mean the end of your sun-kissed skin. Some times a tan be be the best accessory so we at The Amazing Blog, have rounded up our favourites of the latest products and accessories we recommend trying; Crazy Angel, Bronzie , Minetan and Sunkissed. 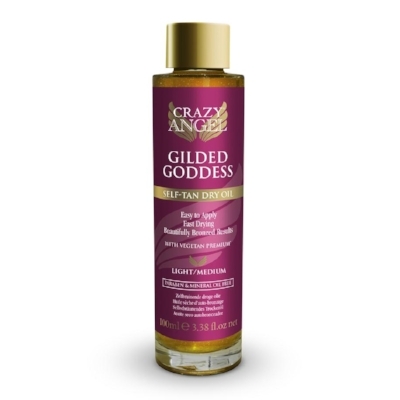 Gilded Goddess is a self- tan dry oil, the oil is paraben and mineral oil free and has a creamy moisturising feel, ensuring a long lasting, radiant tan, leaving skin soft and luminous, it's also enhanced by the product’s revolutionary vegetan premium formula. The dry-oil glides easily onto skin, is quick drying and is easy to apply, we recommend applying to clean dry skin and wait between 4-6 hours before washing. Surprisingly the fragrance smells devilishly good, which is hard to find in self-tanning products. Get the perfect tanning result for by Crazy Angel’s available to purchase for £16.20 here. Tired of streaky fake tan, or find it hard to tan your back? We know this struggle all too well! That’s why we were really excited when we had the chance to try the Got Your Back from Bronzie. The revolutionary accessory will help you to tan your whole back and body with ease. How does it work? 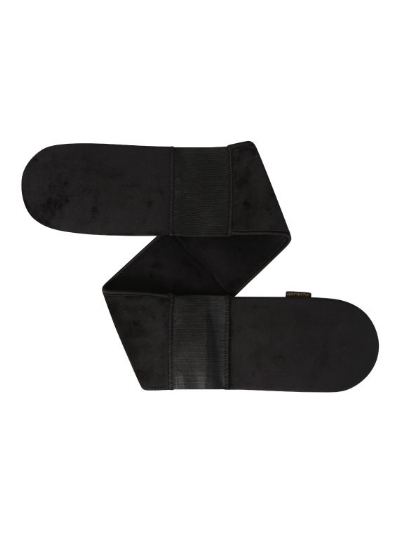 It has two mitt ends, which will help to speed up your tanning time as well as allowing you to get to those hard to reach areas. Inside each mitt are gloves which means no more orange hands! In addition to halving your tanning time, this luxurious accessory is washable & reusable. We think that Got Your Back will be every fake-tanner’s must have accessory and it is available here for £14.99. A green tan is not exactly the look most people go for, but the Onyx foam in the original shade by MineTan uses a green base to achieve a dark olive brown finish. If you're in need of a quick fix but still want a natural colour then MineTan’s foams are what you need, their super quick formulas mean you can choose what shade you wish to be. Ranging from a light ash to a dark chocolate shade, you can rinse the formula off in 1-3 hours depending on how dark you want to go. The foam is really easy to apply and the immediate colour means you can ensure it is steak free. It has no scent and the Original green tone means you don't need to worry about any orange streaks. The final product is instant tanning product by the brand Sunkissed. This tanning gel from Sunkissed works with your skins undertone to create a natural beautiful glow which can be washed off at the end of the day. The self tan comes in two different tones; a warm skin tone and a cool skin tone, which you can choose from. This product is a water resistant gel formula and it's very easy to use as it glides onto the skin and absorbs quickly. It also contains aloe vera and vitamin E unlike some tanning products out there this product doesn't have the fake tan smell, it smells delicious. If you want a natural sun-kissed look this is the product for you can purchase the Warm Skin Tone Tan here for £4.99 and the Cool Skin Tone Tan here for £4.99.